Kama'aina Acupuncture | Community acupuncture in Honolulu, Kaimuki, Kahala, Kapahulu, Diamond Head, Moilili, Mccully and Hawaii Kai. Honolulu's first dedicated low-cost community clinic. Announcement: New acupuncturist coming in July! When I opened Kama'aina Acupuncture in 2009 there was a need for an acupuncture clinic in Honolulu that was dedicated to being affordable and accessible to as many people as possible. Community acupuncture was the solution to being able to accommodate more people's needs. In this style, the treatments we provide are offered in a relaxed and friendly environment with an affordable sliding-scale payment. Flexibility is a hallmark of traditional Chinese medicine and we aim to fulfill that legacy for the community of Honolulu and beyond. When you come to Kama'aina Acupuncture it's about you. I designed the clinic to be a place where you could get help understanding your health issues, and get effective treatment options. We do our best to offer simple, down-to-earth guidance and expertise. Our aim is to use our skills to help you through whatever health or life stage you are going through, whether a simple case of back pain after surfing, stressful finals at school, or when life in Honolulu has given you more challenges than you feel you can manage. The youngest we've treated is 2 years old for a 5-week cough that resolved within 2 days. The oldest we've had is 94 years old with chronic back pain. This is just a small sample of what we do for thousands of people each year, and we look forward to continuing to do more in the future. Please look around here for more information and if there are more questions please feel free to reach out to us by phone or email. And if you're ready to see us for an appointment we look forward to meeting you soon. 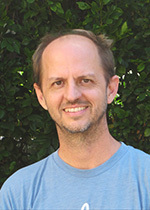 Joe founded Kama'aina Acupuncture in Hawai'i in 2009. Raised in Kailua, he graduated from Iolani School in Honolulu, and found himself in New York City where he received a Bachelor of Fine Arts degree in 1993 from the Cooper Union for the Advancement of Arts and Science. He started his acupuncture and pulse reading training under his tai chi teacher in New York, Dr. Mou Chuan Jing, and eventually went on to his Masters in TCM in San Francisco at the American College of Traditional Chinese Medicine. After school, he remained in San Francisco and mentored under various doctors with specialties in skin diseases, tuina and pain management, and mental-emotional disorders. Joe also worked for several years in the Chinese herb industry, including running his own small company that focused on organic herb sourcing. Now with Kama'aina Acupuncture firmly established as a community resource, Joe continues the tradition of helping people as best as he can, as his teachers all have for generations. He balances his time in the clinic with teaching at the Institute of Clinical Acupuncture and Oriental Medicine here in Chinatown, Honolulu, leading weekly vipassana (mindfulness) meditation, as well as his pursuits in the arts of painting and calligraphy. Brandon studied acupuncture in Honolulu, Hawai'i at the Institute of Clinical Acupuncture and Oriental Medicine. After graduating in 2012 he began doing travelling acupuncture around the island. 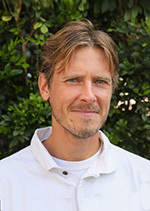 After meeting with and studying under Joe Bright, he began working at Kama'aina Acupuncture clinic in 2013. Brandon grew up in New York and obtained a B.A. in Psychology. Initially he moved to California and then eventually Hawai'i. Cooking and restaurant management are part of his background as he developed his interests in Eastern spiritual thought and helping others. Experiencing acupuncture for the first time was unlike anything else before in the way it incorporated the mind, body, and spirit all together, and it helped define the path he's been on ever since. Brandon spends his time playing competitive tennis, practicing meditation, and enjoying the outdoors. Maire received her 2nd Masters, in acupuncture, at World Medicine Institute in Aina Haina. Her introduction to the benefits of Chinese Medicine was receiving regular acupuncture treatments throughout her pregnancy. Then during graduate school a class on Hawaiian herbal healing (La'au Lapa'au) sparked an “aha” moment that shaped her desire to help others with natural modes of healing. As the founder of Mala Healing Arts, Maire specializes in women's health and pain management, and joins the KA crew after being an assistant and substitute since 2016. Born on the Big Island and raised in Honolulu she is a former marine biologist who spent a decade studying the endangered Hawaiian monk seal. Outside of helping her fellow humans, you can find Maire in her element enjoying time with her son and playing in the forest and ocean. She loves planning out her next DIY activity, and is always attempting to gracefully navigate the ebbs and flows of life. Born and raised in Honolulu, Patricia is a first generation daughter of Chinese immigrant parents. 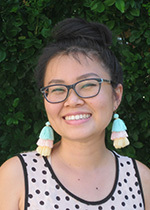 An alumna of Kaimuki High School and the University of Hawai`i at Manoa, where she completed a Bachelors of Science in Medical Technology, Patricia grew up with traditional Chinese medicine from an early age as one of her parents had worked in a Chinese herbal products factory in Guangzhou, China. 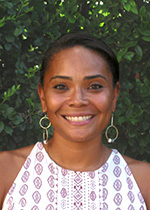 In 2011 she met Joe and started working as a clinic assistant at Kama'aina Acupuncture. Time spent in the clinic spurred Patricia to formally study and receive a Masters of Science in TCM from the Institute of Clinical Acupuncture and Oriental Medicine in Honolulu, Hawai’i. She also had the honor to train with Joe's esteemed mentor, Dr. Mou Chuan Jing, in New York. Outside of the clinic Patricia is a dedicated belly dancer and henna artist. She is the founder of Touch of Henna Hawai`i, and her custom hand-painted mandala murals can be found adorning the walls of KA sister clinic- Olanani Acuoasis in Kailua. 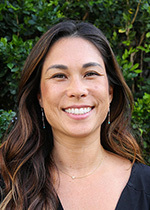 Nohea received her master’s degree from the Institute of Clinical Acupuncture and Oriental Medicine in Honolulu, Hawai’i. Her journey into health and wellness began 16 years ago when she started practicing yoga, and eventually becoming a certified yoga instructor. Nohea began studyiing various types of natural medicine and spiritual practices, ultimately falling in love with Chinese medicine and its holistic approach. She completed externships at Tripler Army Medical Hospital, Guangzhou University of Chinese Medicine and Chengdu University of Traditional Chinese Medicine. She found that the travel to China deepened her practice, and after graduating she became an assistant to Joe at the clinic, as well as a substitute practitioner. In her free time she likes to meditate, surf, practice yoga and relax with her dog and friends. 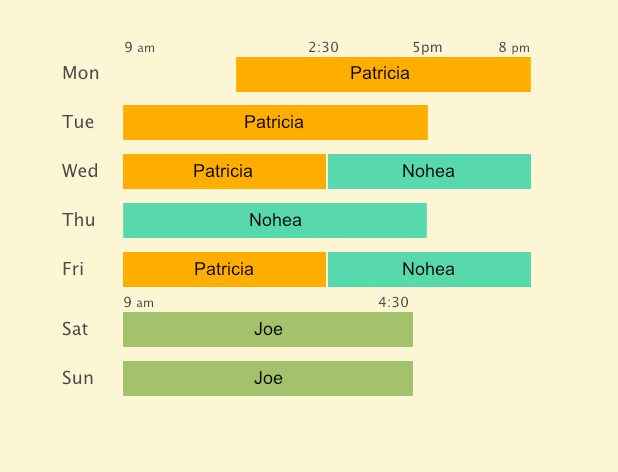 She splits her time between the clinic and her private practice in Hawaii Kai. She aspires to help as many people as she can live a life full of health and happiness. "I went about once a week to about once every other week for 5 months.... and guess what...I got pregnant! I'm holding my little 10 week old little girl as I write this...haha" – L.L. Our services are on a sliding scale from $20-45 per treatment. You choose how much you pay, or can afford. The sliding scale is for all local residents and visitors to Hawai'i. There is an additional $10 intake-consultation fee for the first visit. We can in certain circumstances waive this fee if you are a student or in financial difficulty. Just let us know. We currently accept cash, checks, or credit cards for payment. If you prefer a Paypal payment just let us know and we can work that out with you. We don't do insurance billing, and you can read more about why in the FAQ section. We're never sure how to answer this question. Especially when its being asked by someone with a body covered in tattoos (hours and hours worth of needles scraping across skin), or someone who's been in crippling pain for several days if not longer. We do get it that what everyone is actually asking is whether or not acupuncture feels like getting shots and blood tests. In other words is it as horrible as hypodermic needles in a doctor's office. The short answer is NO; it's nothing like the feeling of getting shots or blood taken. Here's the sentiment from one of our Yelp reviewers: "NOTE - IF YOU HAVE FEARS OF NEEDLES: Don't be scared of the needles, they are super thin and have nothing to do with the ones from docs and labs etc." However, in truth the answer is variable as everyone has a vastly different body sense as well as different conditions. The general range of needling sensations is from a light to heavy pressure, tingles, tickles, a sense of "energy moving," a slight ache in a muscle area, to nothing at all. All of these can signify when an acupuncture point becomes active, or functional. But like turning on a switch once, generally these sensations dissipate after a few moments and the rest of the time people get to relax as much as they can. We are highly skilled, but no one is perfect. We don't have x-ray vision to see every pain receptor in the skin. Of the thousands of people we see every year nobody has fainted yet from our work or from their own nervousness. But definitely tell us when you feel anxious so we can help you through it slowly and safely. And to quote one man who was nervous, after his first needles he said: "Wow! This is great. I can't believe I waited so long to do this!" Can acupuncture help with _____________? Back pain? Acne? Headaches? Anxiety? This list goes on for awhile, so consider one simple factor: the written history of traditional Chinese medicine, of which acupuncture is one component, is about 2600 years old; That's the first, oldest still-existing text on Chinese medical theory and treatment (No one really knows how long before this book the actual practices stretch). So then consider that modern medicine stretches back roughly 150-200 years. That means that acupuncture was a primary care method for at least one culture for a heck of a long time. And since China continues to be one of the most populous nations on the earth, something must have been working all along. So you name it and likely we've seen it here at Kama'aina Acupuncture. Naturally some things are simpler to treat, and some more complex or plain stubborn. Factors like stress, normal body constitution, lifestyle, etc., can all impact our work in helping you through. But our youngest patient has been 2 years old, and the oldest 95. And so far we have been very successful in may areas of pain management, skin conditions, stress related conditions, fertility and more. So if you want us to see what we can do for you please feel free to just check in with us. I thought you were going to be an old Chinese guy? It's true that, at least in this life, I/we are haole folks. And as our reputation grows naturally people expect that only a mystical old Chinese dude on a mountain can possess such magical abilities. Fortunately for us, and you, Chinese medicine is like many other systems in the world that understand the body according to observations of certain patterns of symptoms and conditions. Granted the patterns and diagnosis can sound different than western medical terminology, but we're still looking at the human body. And since we all eat and relieve ourselves the same way the world over, we're able to be really, really good at what we do. We've even successfully treated real Chinese people, although sometimes even they're really surprised at our skill level. I can pay what I wish? Really? You won't just use fewer needles if I pay less? Yes, you really can pay what you can afford. Our scale is from $20-45 per treatment. We welcome local residents and visitors on vacation to Hawai'i to use this system as they need. We won't look at you in a funny way or demand income statements as proof, or even do "less" of a treatment. There are many options for acupuncture in Hawai'i, but there was a gap that we felt we could fill by offering flexibility to our community. If we appreciate flexibility it just seemed logical that we could extend the same to you. So we do what we can, in as many ways as we can, as often as we can (through extended hours), for as many people as we can. And through it all we leave your financial needs up to you to decide. Granted the first session we charge an additional $10 intake-consultation fee, but if you are in difficulty let us know and we can waive it for you. Do you accept insurance at Kama'aina Acupuncture? Unfortunately we don't do any insurance billing for a few reasons. We are a small clinic and don't have a reception staff. Though there are various acupuncture students who may help us out from time to time we keep things simple. That means that we spend our time focused on patient treatments and not on paperwork. This also means that we can keep our sliding scale payments affordable. If we were to have someone spend the extended time to do billing paperwork, then we'd have to have a significant payroll that naturally would mean increasing our fees. And at this time, unfortunately, the insurance re-imbursements can be sketchy to collect on. Even though many plans are starting to offer some coverage there is a significant gap in what many companies think is "necessary" treatment that they'll cover. Also, there's a small hitch in how we offer our payments. Insurance companies don't like the sliding scale. They would allow us to have a single published rate, and offer a single published "cash discount" that is the same for everyone. But you choosing how much you pay? No way! So regrettably the best we can do is to provide a receipt and you can submit directly. We do know that some people's plans are willing to reimburse you directly, but you'll need to check with them directly on that. What is the community acupuncture experience all about? Community acupuncture is a trend drawing from some great traditions in China as well as some of the low-cost clinics that popped up in the 70's and 80's in New York and San Francisco, though some of the modern movement has sprouted from the Portland area. Specifically community acupuncture means one open treatment area where several people are receiving treatment at the same time. Appointments are staggered so some people are comfortably resting with their needles while new people are arriving in the waiting area. But it also refers to an approach that builds on affordability, simplicity, and building community. The first of these certainly draws the most attention in the modern economics of healthcare. However, we like the third the most, because we like to think of the people that come through our door as part of our community, or ‘ohana. And it's to this community that affordability and simplicity are in service to. We feel we are members of this ‘ohana as much as our patients are. Is community acupuncture for everyone? Probably not, and we understand that. We do have limitations on what we can offer by opening our doors to a large community. Yet even though we can't offer separate private rooms for people to rest in, the vast majority of our patients still feel that our space is both relaxing and intimate enough for their satisfaction. But it's also this larger approach that allows us to keep treatments affordable for everyone. We don't have a receptionist or a large staff, although you're likely to see one of many students volunteering in the clinic. It's also likely that the actual practitioners will be answering the phones, so we hope everyone can be patient with us. Follow up question: What is the space like? Our treatment space has 3 comfortable reclining chairs, and 2 standard massage tables. We keep things tidy and simple. It is a smaller space than you might find on the mainland, but that's just the nature of Honolulu where space is at a premium. But we have a great view of the mountains and often afternoon rainbows grace the skies. Most people fall asleep during treatment, though some will just ponder the clouds and mountains. If it helps feel free to bring your own sunglasses or iPods with your own music selection if you think that will help you chill out some more. Do I have to be naked during treatment? We certainly hope not!! Loose comfortable clothing and bathing suits usually give us all the room we need. However, we also keep plenty of sheets on hand for extra draping if needed. Yes, when being guided by a skilled herbalist. There is a vast difference between a thoughtfully prescribed and/or prepared herbal formula and consuming a handful of random "supplements," many of which might not be used in combinations in traditional medicine usage. What we do has historical precedence and a growing body of modern scientific knowledge behind it. Even if there are questions of interactions with medications we're trained to know when to use and when to hold off. Regrettably, the whole of the supplements industry covers an enormous range of large and small companies making various products targeting consumer's interest in "natural" medicines. Chinese herbal medicines are just a small corner of that industry, generally run by herbalists. Unfortunately this doesn't mean that there isn't a huge amount of problematic products being put out by indiscriminant people. Most of the really bad and dangerous ones target weight loss, energy boosts, and sexual enhancements in a "one size fits all" kind of approach. To combat these products alongside agencies like the USDA and FDA, organizations such as the American Herbal Product Association help guide and represent responsible companies to both consumers and government agencies. If you have questions you might look there for additional resources. Can acupuncture help in emergencies? That depends on what the emergency is. If there is any doubt in our minds about the severity of a condition, we will always recommend you see your primary care physician, or visit the emergency room, right away. That being said, if your emergency is throwing your back out in some awesome Hawai'i surf, then yes, we can probably help. If you've caught a cold, or laryngitis, and you have to sing at your wedding in a few days (True story there!!! ), then we might be able to get your octaves going again. So feel free to call us and ask what we think, but remember, we can't see or feel anything over the phone. So we'll need to see you in person to evaluate if there's something we can do, or if you need to see your doctor or another specialist of some kind. Do you do massage at Kama'aina Acupuncture? Yes, and no. We are not set up to provide full-length hour+ massage services. For that we have people that we can refer you to if you need it. However, we do utilize a traditional Chinese massage technique called "tuina." The word translates as "push-pull" and is a fairly vigorous style of bodywork used specifically when people come in with injuries and pain management situations. Generally the work will just be several minutes of massage after the primary treatment of acupuncture or cupping. And though it can be effective the situation may not require it. Do you offer spa treatments, or facials at Kama'aina Acupuncture? We don't. There are many places in Hawai'i that provide spa services to residents and visitors alike. And there are even acupuncture clinics that provide aesthetician services that might even include facial acupuncture. Generally these therapies are more premium services. For us we try to keep it simple and affordable, and though we offer a well-rounded range of skills and services, these are out of our scope of practice. Whether you're a local resident of Hawai'i or a visitor on vacation, we're here to provide support for you. We generally take appointments for advanced planning and can be taken by phone or email. We try our best to take walk-in treatments much of the time as well. However, some days are busier than others, so please be patient and we'll do our best to accommodate you. Zoom in and out on this Honolulu map for our location, or to get more detailed driving instructions as needed. If you're new to Hawai'i and need help just give us a call. We know the street names in Honolulu can be challenging for people on vacation. We're actually very easy to find and we have free parking right in front of our building. Please note that we share parking with Waiola Shave Ice, so during summertime things can be a bit busier as beachgoers cool off. But be patient and cars will come and go. You're in Hawai'i, so might as well relax! Please answer the captcha so we avoid spam and bots! The captcha did not match the math. A form entry is missing. Use our contact form above or contact us below!